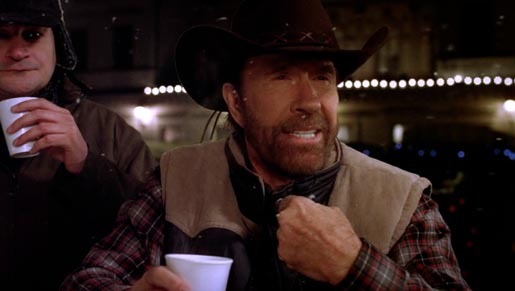 American film star Chuck Norris is appearing in an advertising campaign for T-Mobile in the Czech Republic. Norris appears in a series of television commercials, staying with a Czech couple, being mistaken for Bruce Lee, fainting in the kitchen, snoozing during Nature documentaries, watching martial arts demos and waking from slumber to take out his host. The TV and print campaign, with online elements, combine to promote T-Mobile’s Christmas giveaway promotion photo frame, netbook and widescreen LCD TV. The creative concept, TV commercials, print ads and other communication channels were all prepared by Saatchi & Saatchi Prague. Filming was shot by Bouffant director Marc Sidelsky via Starlite, Prague, with producer Petr Keller and art director Hadji Maissa.